Who qualifies for post-bariatric surgery? 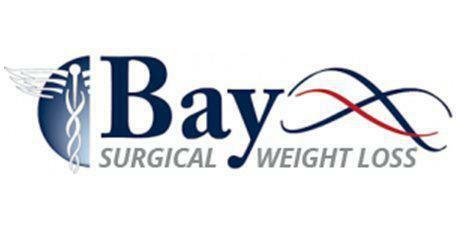 One of the basic criteria for determining whether a patient needs bariatric surgery is their body mass index (BMI). Based on the patient’s age, gender, height, and weight, this calculation allows a physician to determine the approximate stress on their organs, immune system, and musculoskeletal system. A BMI of more than 30 is considered obese, while a BMI of 40 or over is considered extremely obese. Good candidates for weight loss surgery generally have a BMI of more than 40, but those with a BMI over 30 may also qualify if their weight is adversely affecting their health. When is post-bariatric surgery needed? Most candidates for bariatric surgery have tried more traditional weight loss methods in the past without success. When diet and exercise don’t yield the results that are necessary for better health, bariatric surgery may be required to allow the patient to lose weight and reduce stress on their organs and bodily functions. Why is it important to attend follow-up appointments for bariatric surgery? With any serious medical procedure, recovery takes time and there is always a small risk of compilations. Attending regular follow-up appointments allows the doctor to monitor the patient’s health and wellbeing, ensuring that recovery is moving at a pace appropriate to the patient. If the bariatric procedure is performed in traditional open surgery, the patient will stay in hospital for about a week, then be released to recover at home for another week or two before returning to work. If the surgery is performed laparoscopically recovery will take significantly less time than open surgery, usually going home within 24 hours. Then the patient will take a few days to slowly return to normal activity levels. What to expect following a bariatric procedure? After surgery, patients may experience some discomfort in the stomach region which is treated with prescription medications. Patients will need to eat much smaller portions of food, more slowly as the stomach will have dramatically reduced in size. The recovery time will be quicker than with traditional surgery when using this laparoscopic procedure. However, patients will still have to take it easy in the week following surgery. The doctor will provide patients with specific instructions regarding what and how to eat after the surgery. Initially, patients should eat soft food and liquids to allow the stomach to heal. As time passes, solid foods can be brought back into to the diet and patients will now have to remember to chew their food well and stop eating when they are full. Pain medications will typically be taken during this time. It is also common to notice that memory and concentration may not be as strong either. This will improve over time, and it is important to not be frustrated. Over the following weeks, the patient will be able to slowly resume normal activities and regain strength. The patient and doctor will discuss a return to work strategy. It is important to attend all follow up appointments to monitor recovery and ensure that the patient’s health and wellbeing is returning as it should.